As a business owner, you know that there are a lot of elements that have to remain in balance in order to ensure business success. Between acquiring clients and keeping your finances in check, things like the culture of your workplace can easily fall by the wayside. Many leaders do not recognize the importance of fostering an empathetic and diverse culture, yet diverse workplaces are 35% more likely to financially outperform homogenous ones. So working on creating an inclusive and supportive workplace is just as important as any other part of running a business. A week-long trip to China doesn’t sound like a big deal. After all, thousands of people visit China every year, many for months at a time. But for me, a sixteen-year-old Indian girl traveling from San Jose to Beijing, this trip was a daunting ordeal. I would be spending the week with six other kids I didn’t know, sharing a large apartment with my dad as the only chaperone. We were traveling to China as part of an International Outreach Awareness Committee with Team HBV, a student-run organization under the Asian Liver Center. The Asian Liver Center, along with Team HBV, aims to educate the general public about the prevalence of chronic Hepatitis B infection in Asian communities. Chronic Hepatitis B, which can lead to serious liver damage and eventually liver cancer, claims the life of 600,000 people each year. Furthermore, although Asian Americans consist of only 4% of the American population, they comprise of over 50% of the nation’s chronically infected people. Hepatitis B is preventable through vaccination, but the disease often does not show symptoms until it is far too late. Because of this, early screening and testing are of utmost importance. Unfortunately, there is a strong stigma surrounding Hepatitis B in Asian communities. Our group traveled to China as a way to start the conversation regarding the disease. By encouraging even a few people to get screened or encourage their friends to get tested, we could take small steps to eradicate the taboo and saving lives. Our group consisted of kids from all around California who were handpicked to represent the Asian Liver Center in China through an application process. The first few days of our trip were awkward and tense; no one knew each other and everyone was trying to get accustomed to their surroundings. Our shared goal of spreading information brought us together, and we spent several hours rehearsing our presentations, going over HBV facts, and working out the details of our outreach. Although we weren’t able to present at some of the elementary and middle schools we had planned to visit, we educated everyone we talked to, from college students to workers in the Subway. We even worked with interns at the Peking ALC to see if they could replicate some of the outreach that was working so well in America. And over the course of this week, the trip that I once so feared became one of my favorite experiences in my life. I grew incredibly close to the other committee members, and I visited many amazing, historical places in China. I also grew even more passionate about our cause. Before, I volunteered with Team HBV because I thought it was a good cause to support. I got involved because I felt like I couldn’t let innocent people die when I possessed knowledge that could help them. During my trip, I grew close to people who experienced first hand the tragedies of HBV: people who had lost loved ones to the disease; people whose own parents couldn’t tell them they were infected because they were embarrassed; people who wished they had gotten tested just a little sooner. After returning home, I started looking for more opportunities to get involved. One of my first attempts was to rent out a booth at the monthly De Anza Flea Market to distribute outreach information and spread awareness. My two friends and I talked to over one hundred and fifty people about Hepatitis B and what they could do to help. I used to think that this trip to China would be my biggest contribution and involvement with Team HBV. After all, I traveled all the way across the globe for outreach. Now, I know this is only the beginning. There are so many more things I can do, from starting a club at my high school and later at college to writing a blog and volunteer more frequently locally to help make a difference. Stuti Upadhyay – She is interested in the field of Biology – particularly molecular biology for cancer. Looking forward to participating in many cancer-related molecular biology research opportunity, including hands-on lab work. She is passionate about helping disadvantaged kids, health and exercise, and environmental sustainability. A Bay Area native who enjoys the beach, running, soccer, watching movies and listening to music. Can Sustainability and Minimalism Improve Your Happiness? In Graham Hill’s TED talk, he asks if having less stuff can lead to more happiness. He makes the case that when we own less, and in turn need less space, we will have less debt, more money, more freedom, more time, and we’ll also be leaving a smaller environmental impact. He believes that these things combined would lead to less stress and a happier life. You can move into a 600 square foot home and eliminate most of your stuff, but you only have to do a little bit in order to make an impact on your happiness and positivity. 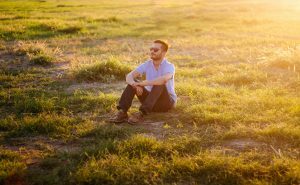 In this article, we’ll discuss how bringing minimalism and sustainability into your life can improve your overall happiness. Your home makes a big impact on your happiness. Like Graham states, a bigger home is more expensive and leaves a greater footprint on the environment, leading to more debt and more stress. But the size of your home isn’t the only factor impacting your life. Your community, location, and accessibility all play a major role. Sustainable living, and sustainable communities, commonly boast a higher quality of living, not in luxury but in fulfillment. Sustainable living can help nurture economic and environmental health, and social equity. In sustainable communities, everyone is expected to do their part and everyone works toward a healthy lifestyle for all that live in the community. But it takes work. Look for sustainable communities, or community groups in your area to get involved and become a happier person by working with others toward the same goal. Or start one in your own neighborhood. Do a self-evaluation of your home and find out what you can do to make your home, and your community, more sustainable for the environment and for your own finances. Actively take note of what is happening in the present moment. Start a journal or just write down your thoughts. Next, it’s time to cut down on the clutter. But you don’t have to go through your whole house with a fine-tooth comb. Start with the one room you use every single day, where happiness and relaxation are important. That’s right, we’re starting in the bedroom. Remove all electronics from your bedroom including the television, phones, tablets, etc. Get a bed fit for optimal comfort, whether that means a firmer or softer mattress is up to you. Or, invest in good linens for a cozy night’s sleep. Find simple curtains, or thrift them, to create solitude and ambiance. Remove busy posters or any pieces that aren’t soothing and relaxing. Get basic accessories, like a rug and lamp, and stick to just the necessities. Organized your clothing and sell or donate any items you haven’t worn in at least a year. Sustainability and minimalism can absolutely improve your happiness. Many people have proven it before. But the impact often depends on how you approach life changes. Are you open to positive new changes or worried and nervous? Relax and let these tips guide you to a happier, simpler life. We spend our youth in a specific structure called school. It tells us when we have to be certain places and what things we do at those places. Then, suddenly as you graduate from school, you enter into the vast expanse of you now and you in 89 years and there’s practically nothing that’s giving that future a structure. Many of us like to grab onto dreams as things which guide our future. We think about family, work, home, hobbies, and then somehow after it’s all said and done, it can feel really unsatisfying. Or maybe you’ve been putting in your time for years and now is your big break where you get to live in paradise, travel the world, and have freedom. Except, you wake up and realize there’s nothing. What happened? Especially in cultures like the U.S. and Japan, we thrive by encouraging ourselves to focus on achievements (ummm anyone have a bucket list?). Yet we rarely are taught to navigate the moments after everything is said and done. The day after you’ve gotten that promotion you’ve been waiting for. The morning after you’re final day of work for retirement. For me, this reality of the ???? after achieving a dream came after I finished my book, In My Own Skin. I felt like I had created something so dark and depressing I wondered if anyone would ever read it. In fact, as I was writing, I had people offer to help me review it, and rarely did they ever finish it. I also didn’t know what do with myself now that it was done. Do I just start writing something new? After three years of hard work, is this it? Much to my surprise, as soon as I started sharing the published book, I have felt just how much joy it brings me to offer my experience and story as a guide to others on these big journeys of transformation. I went from thinking no one would ever look at what I’d done to a line of people out the door waiting to talk with me. As much as I have my experience with finishing a big deal project or losing someone close and suddenly so that a phase of life ends with a big bang, I’ve also found there are all kinds of other ways death manifests in my everyday life, and yours too. Death, in other words, as endings. Most recently, I’ve become lactose intolerant. When I was a 9th grader fresh after my dad’s death, I LOVED ice cream. I would have said it was my favorite food. I also would have said I never thought there would be anything that brought me closer to my dad again. Then, I became lactose intolerant as a 24 year old. Suddenly, those memories of setting 5 glasses of milk for Mom, my sisters, and I and 1 glass of water for Dad around the dinner table have taken on a whole new meaning. I’ve become connected to him in a way I never thought possible. That is to say, there are so many things we lose in our lives (loss takes on many faces in our lives). Especially with really big things like people we care about, we can get focused on just how much is taken away from us. We can feel like we get to the other side of an accomplishment and have no idea what comes next. But that’s not all that happens with loss. When my mom decided to move across the country and go to medical school, I saw my first real example of how being broken open by my loss meant not just things getting taken away but also new things coming into our lives and taking root. Now, I am so grateful to work with people like you on your own journeys of transformation. I was very good at getting myself out to deep waters as I wrote and processed my loss, but I needed a guide to get back to shore. I believe that’s true for all of us. Whether we choose to act on it or not, in those moments of transition we need people to help guide us back to shore. That’s why I’m here for you. If you’re looking for someone to support you like that, I would love to be that person for you. We can do that by working 1:1 together with undivided attention on the face of loss in your life. Together, we find what it means for you to feel fulfilled in your life in this moment, and we grow the ways for you to feel that as often as you can. Click here to set up a call with me to see if you’re a good fit for my 1:1 program. Seeing those grief triggers as love notes is just one of many ways I’ve come to feel at peace with my loss. It is an honor and a privilege to support you in finding that peace too. There’s so much here for us, even when we think it’s all gone. That’s what I find so amazing. All this darkness we experience is what reminds us how alive we are. When we can settle into our own aliveness, that’s when the new dreams start emerging and we find the path for our next thing has been there for us all along. Originally published on Aging Courageously. Kirsten Schowalter is the author of In My Own Skin and a transition coach with Aging Courageously. “Age is not important unless you’re cheese.” – Helen Hayes, an American actress whose career is said to have span 80 years. 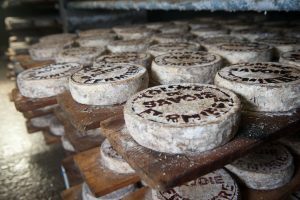 The really good cheese I enjoy that takes time to age. The people I know who are doing amazing things and “have aged” according to cultural concepts of aging. One of those people who stands out to me is someone named Sherry Saterstrom. I met Sherry when I was a college student and she was a dance professor. She has the kind of voice recognizable from across a room. She expresses the energy of what she’s communicating in exclamations and punctuative sound. Similarly, she is nimble and quick, and the most energetic and curious person I have ever met. At the time, she was also almost 70 years of age. While I was at school, I took several of her dance classes, one of them I even took twice just because it meant more time around Sherry. We learned anatomy, physiology, evolution, somatics, dance, and improvisation, and practiced something we now call “Mindful Movement.” As students, we watched and learned as this limber and spritely woman showed us how with an attention to alignment you can be in the middle of lecture and discover you can do a handstand (this literally happened one day while we were in class). When I think of someone who doesn’t let anything, like expectations around what someone at age 70 should be doing, I think of Sherry. In fact, her more recent jump from teaching into what most people call retirement also took a more unconventional route. 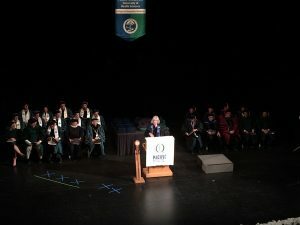 During her time teaching at St. Olaf, she had never gone on sabbatical, so her first year after “graduation” she set aside as “sabbatical.” She gardened, cross country skied, cooked, organized her home office, and probably ate yummy cheese. But she didn’t sit around in the fridge like cheese. In fact, winter, when Minnesota feels the most like a refrigerated world, is when Sherry loves to be outside the most. This year, she told me she’s looking for a market. She’s ready to start her own venture about mindful moving and fitness. Listening to Sherry’s story, I wonder: how did she know this was the idea she wanted to go for? In some ways, it was because it’s something that she has been fascinated by for decades. In other ways, it’s because she has seen other people talking about the concepts she wants to build a business around. Either way, her age has given her the advantage to see her idea in a broader context. We all have potential skills and value to offer already inside us. 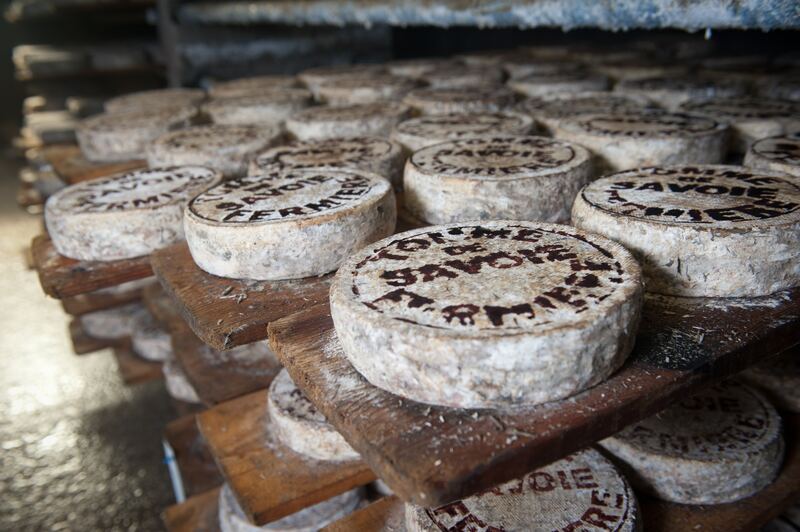 Like an expensive cheese, we have so much depth and richness that can create value in the world today. Potentially, even greater value the more we age! Hearing about other people thinking the same thing isn’t a bad signal. In fact, it may be a signal the idea you have is even more worth doing. 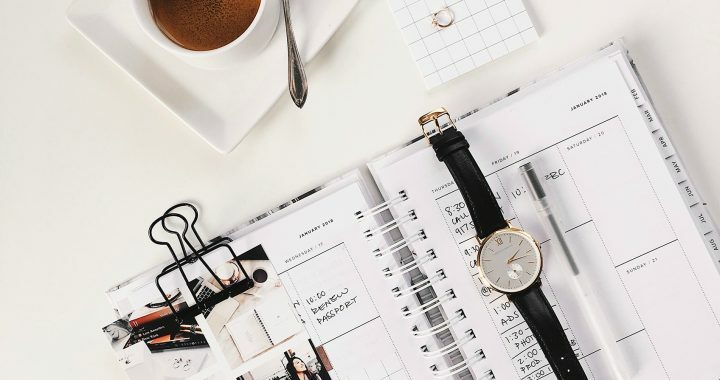 Timing is critical in launching and getting traction around a business, and knowing your idea resonates with people who may be future customers is a great signal you’re onto something good. While things are still early for Sherry, what I love about her journey into “retirement” so far is that it’s characterized by a clear intention to throw out the window all the things we think “should” happen as we get older. Instead, she plans to continue to be curious about what’s next. No venture is too big or too small when you set your mind to it and begin to see all the possibility. Who knows, maybe Sherry’s career in dance will eventually rival Helen Hayes’ career in acting. If you’re going to have that much life, what are you going to get up to? If you’re curious about what this world of mindfulness that Sherry has seen come to life looks like, take a peek at the Mindful Movement Intro Series from Aging Courageously. Kirsten Schowalter is the founder of Aging Courageously and the author of the memoir In My Own Skin. Originally posted on Aging Courageously. When it’s your business on the line, it makes sense to want to control every aspect of it. However, taking on too much or doing everything yourself are good ways to get burnt out. Once you do, you are no longer effective, and your business could suffer. Owning or running a business is a big responsibility, but you don’t have to do it alone. You can choose what you want to focus on and then delegate other tasks to staff members. When you learn to delegate, everything runs smoother. So how do you find that balance? Here are some tips on how to decide what you want to control and what you want to delegate to others. As children, we are taught we have to work ourselves to death to be successful. Later in life, we find out that is not really the case. A better way is to work smarter, not harder. Before you start your day, identify a few priorities that you need to get done. Don’t make a big list, just the top five. Focus on each one for 90 minutes and then take a break to recharge. Use good management software and mobile apps to help you collaborate and communicate easily with your team. Software like Slack, Asana, and Google can help you to share the load. Let technology take some of the burden off of you. You’ve hired your superstar team of high-performers now it’s time to put them to the test. Instead of babysitting their every move, train them well and give them the resources and support to do their job effectively. Giving them responsibility frees you up to manage your business. Your focus needs to be on strategy and keeping all the pieces together. You oversee a lot of departments, and if you are doing all the work, you will not be able to see the big picture. Take a step back and delegate to your staff all those little tasks that eat up your day. Put into place checkpoints and milestones where your employees update you, so you know where they are regarding progress. The simple act of setting expectations ensures you will have the information you need when you need it. Removing worry from the equation will help you clarify what your job should be. Highlight employees skills and motivate them with praise on the things they are doing well. Minimize their shortcomings and try not to dwell on them as much. You do not want a demoralized workforce. Once you hand over the keys and let someone else drive, you’ll be able to survey the landscape and brainstorm new ideas. You will also have the time and energy to manage your teams more effectively without finite thinking. Expand your horizon by delegating and get more than you ever expected. Until you take the plunge and try handing over some of your daily tasks, you won’t believe how freeing it can be. You have a mental list already of the things you would like to do someday if you had the time. Make the time today by delegating those pesky jobs that get in the way of progress. Nothing can replace a good training program. 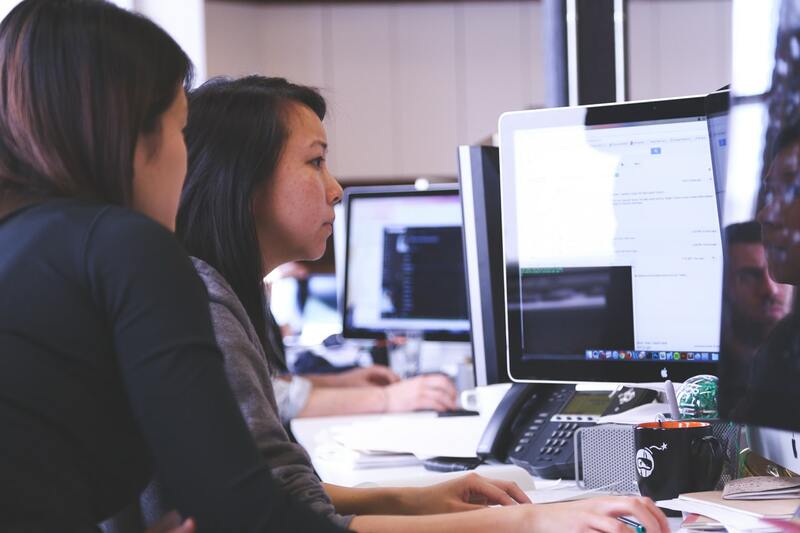 If you want your staff to excel, train them well and provide useful resources and support. Give them wings to fly, and they will surprise you by taking off and soaring with your business goals in hand. It’s hard to trust others with something you know you do the best. So, train them to do it exactly the way you do and how you want it done. Monitor their progress in the beginning and, when you are satisfied, let them take over that task without micromanaging them. Make common tasks repeatable, so they are easy for anyone to take over. Document and create video instructions to make it easy for new hires to follow the process. Implement systems so you can trust your people will do things the way you want them. 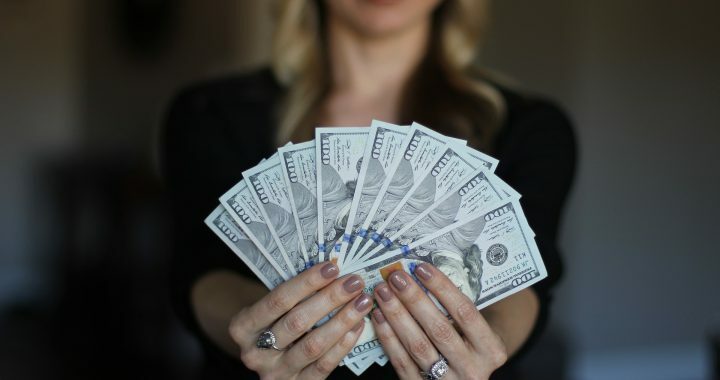 A harsh reality of being a small business owner is dealing with cash flow. When it’s just you, it is easier, but when you are paying a staff, things can get more complicated. The good news is that this can help you determine what to delegate or outsource. The key to managing finances for your business is to know where you stand at any given moment. You don’t have to dig deep into every number, but you should be aware of the big picture and what you need to pay and what you expect for revenue. In some cases, it might make more fiscal sense for you to take on some tasks rather than delegate them. If you can do it cheaper without compromising your efficiency, then save the money. However, if you struggle with certain jobs, it might be better to outsource them and spend the money to get them right. Delegating frees you up to focus on the larger issues of moving your business forward. Growth is where you should be putting your energy. Leave the day-to-day minutia to the people you hired to handle it. Delegation and trust build confidence and commitment in employees. People like to be involved and trusted to do their jobs well. Positive reinforcement to employees is like honey to flies. You as the boss are the big picture thinker and strategist. When you share the work, you demand the respect of those working for you. Delegation shows you are a team player and trust your employees to work with you, not just for you. Over the past century, women have made huge strides towards achieving gender equality. Following on from decades of hard work and activism, we are now seeing an inspiring number of women taking up powerful and influential leadership roles across the worlds of business, law and politics. 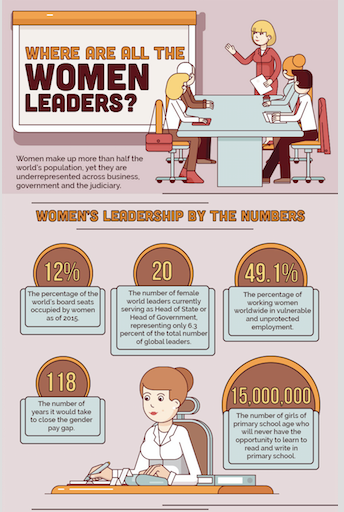 However, while the percentage of female leaders is higher than ever before there is still much work to be done. Despite massive advancements, women still comprise a mere 12% of board members and only 6.3% of national leaders across the world. For every Oprah Winfrey and Angela Merkel, there are millions and millions of women who are still unfairly losing out on leadership opportunities. You spend your life trying to figure out what you’re going to be when you grow up. Maybe you know from the get-go or maybe, like me, you are just trying to figure out the next step along the journey. When I was little, I never really had a clear idea of what I wanted to be when I grew up. I thought, “I could be a ballerina, or maybe a teacher, or a doctor, or a secretary.” Every time I picked something, I felt like I was jumping in a category of people and nothing felt just right. What if I started a job when I was 22 and woke up ten, twenty, thirty years later and decided it wasn’t for me? In some ways, I feel like my early career has been dictated by the fear that I will have to choose something and stay with it… for the rest of my life. When I was 18, my mom (age 48) decided to quit her job and go back to school to become a doctor. Nobody knew how this was going to go. There was only one school that accepted her, so clearly not many places thought she could do it, right? How can someone reinvent themselves just like that? When we live to be a 102, how can the best years of our lives be behind us at age 52? Do you know the feeling? You have experience, and yet somehow it doesn’t mean anything? So what’s left for you? Whether you’re looking for a new story, sending kids off to school, leaving a long standing career for retirement, or something else entirely, you can reinvent yourself. This is something I believe deeply. Launched in 2018, Aging Courageously will inspire and strengthen you to make your dreams real at EVERY age. Rather than follow the social momentum of slowing down as you get older, with Aging Courageously it’s never too late to feel engaged and passionate about your life. I’m Kirsten. I guide people in restoring their sense of self through major life changes. As I said, when I was little, I felt like every time I considered a career for myself I was deciding on something that would stick for the rest of my life. Honestly, being put in a category like that scared me. So, I decided I didn’t have to just do one thing. I researched brain cancer in a genetics laboratory at Mayo Clinic, curated exhibitions at an Austrian ethnographic museum, worked as the head baker in a farm to fork bakery on a fruit orchard, and got a Master’s degree at UC Berkeley where I studied populations and aging. After it all, I was sure there was something more for me. That something more turned out to be sharing my own story. I wrote a memoir called “In My Own Skin”. It’s memoir about my story of loss, love, and growing up after my dad died when I was 14 and my family was in a car crash. Reflecting on the choices and circumstances that have shaped my life, I want to help you love who you are and make your dreams possible from where you’re standing right now. That’s why I started Aging Courageously. Because the best way to grow up to a fulfilled life is to believe it’s possible at ANY age. And that’s why I’m excited to share stories of Aging Courageously with you, my new friends at Scrappy Women. We know what it’s like to create something from nothing – “to take risks and put ourselves out there;” “to care about something more than we care about being comfortable, socially acceptable, or politically correct;” and “to be absolutely, totally committed to extraordinary results.” As we venture on this journey into the world of aging, grab hold of your scrappiness and dive in. Let’s show the world just how far our scrappiness can take us in living long, healthy, and fulfilled lives. Join the Aging Courageously family on Facebook and buckle your seat belt, because when you grow up this time, there’s no more wishing, no more waiting. Stay tuned for my next post about my friend Sherry, a 70 year old “graduating” into entrepreneurship. 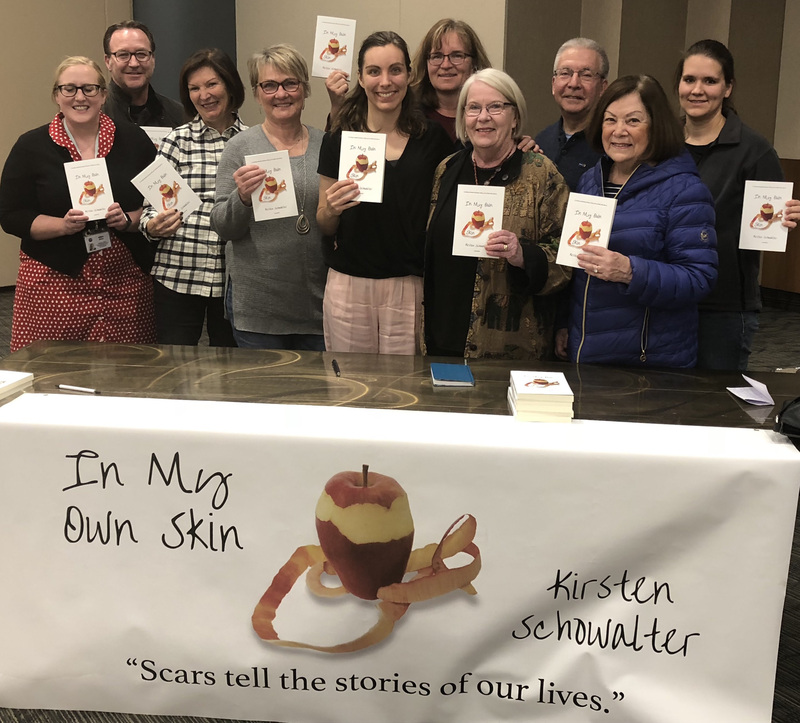 Kirsten Schowalter is the founder of Aging Courageously and the author of the memoir In My Own Skin.